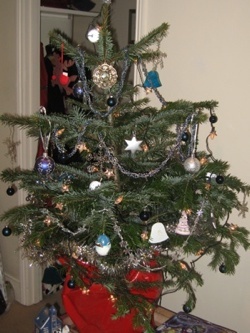 As usual the council will be composting Christmas Trees. Leave your tree with your rubbish on your usual collection day between 11 and 23 January the council will take it, chip it and turn it into mulch. If, like me, you are overly sentimental and name your trees you might think this is a harsh way to treat someone who has become a family member over Christmas. However, it’s a lot more dignified than the alternative his predecessor, Ted, suffered. We tried to keep him as part of the family, but he died a slow, cold and lonely death following our failed attempt to plant him in our back garden. Trust me, your tree would want it this way.